The Neutron Technologies Company was established in 2010 to commercialize outcomes from the research and development activities of the Joint Institute for Nuclear Research (JINR, Dubna). The research on the tagged neutron method (TNM) has been carried on at JINR since 1998. 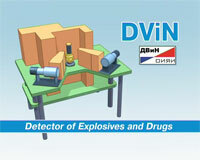 The possibilities of the TNM were thoroughly studied, and prototype explosive detectors were made on order from the Federal Security Service of the Russian Federation, which were able to detect explosives hidden in marine cargo containers, semitrailers, and air passenger luggage. Quantity production of explosives detectors based on the TNM was set up with the participation of the Rosnano Company, whose investments allowed the promising technology to be made into a competitive business. Over 90 DVIN–1 portable explosives detectors were installed in stations of the largest Russian railroads (Oktyabrskaya, Gorkovskaya, Kavkazskaya, Severo-Kavkazskaya) and in metro stations in Moscow, St. Petersburg, Samara, Yekaterinburg, Kazan, and Novosibirsk. In 2014 Rosnano declared its successful withdrawal from the authorized capital of Neutron Technologies (the Rosnano IRR amounted to more than 20%). "“Funding by Rosnano has favored commercialization of the technology developed by Russian scientists, which contributes to enhancing protection of the society against terroristic threat. A dynamic high-technology company is established, which extends the area of application for the tagged neutron method," says Georgy Kolpachev, Rosnano Executive Director. Apart from various modifications of the explosives detectors, Neutron Technologies successfully develop other TNM-based applications. 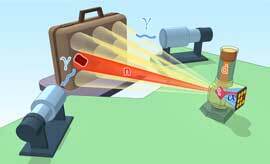 In particular, a nondestructive technology of detecting diamonds in kimberlite ore was developed on order from Alrosa. The company carries out successful research on the TNM-based technologies for nondestructive investigation of the composition and physical properties of various materials. Neutron Technologies render maximum assistance to the end users of their products, including technical support, personnel training, information and consulting services, and development and supply of auxiliary equipment that facilitates the use and improves characteristics of the products.